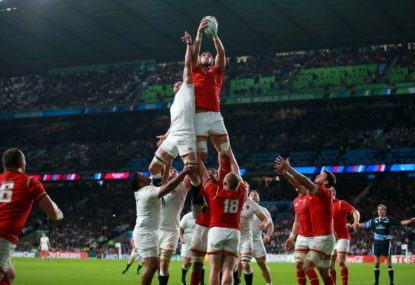 The historical enmity between Wales and England has been shaped by centuries of cultural, political, economic, and most importantly, rugby union-based mistrust and conflict, rendering the Australia versus New Zealand rivalry a primary school sandpit fight in comparison. Perhaps the most famous and oft-mythologized quote in Welsh sporting, if not overall history, was uttered by fly-half Phil Bennett prior to the clash with England at Cardiff Arms Park in 1977. “Look what these bastards have done to Wales. They’ve taken our coal, our water, our steel. They buy our homes and live in them for a fortnight every year. Clearly not one for a pre-match laugh, this was pretty stirring, heady, serious and loquacious stuff, especially as he was speaking from a position of relative strength due to the famous Welsh teams of the 70s and 80s absolutely battering England, who managed just four victories over Cymru during those two decades. You can only imagine what he might have said about the English if Wales were underdogs! English dominance was quickly re-established at the onset of the 90s, and with Wales shambolic transition to professionalism it looked like this would be par for the course in perpetuity. Cue the 1999 Five Nations clash at Wembley Stadium, which has now entered rugby folklore due to Scott Gibbs’ dramatic late try denying England the title and handing it to Scotland, arguably kicking off the modern incarnation of the rivalry, whereby classic games between the two are almost the rule, not the exception. Since ’99, we’ve seen the 2003 World Cup quarter-final in Brisbane (attended by yours truly, with the main image seared in to my brain being a fat English geezer plonking his rod and tackle in the sink right next to me to relieve himself), the out-of-nowhere 2005 Welsh win which kick-started their shock grand slam that year (and mercilessly inflicted the flawed genius, brylcreemed, fake-tanned prototype of Cipriani, Cooper and O’Connor – Mr Gavin Henson on the world), Wales’ first win at Twickenham for 20 years in 2008 and the 2013 title-deciding stunner under the roof. The 2015 World Cup group game between the two at Twickenham might well be seen as one of the most defining and important junctures in English rugby history, as Gareth Davies’ late Welsh try and Robshaw’s damned if he does, damned if he doesn’t penalty decision sealed a truly epic encounter, and the recriminations, fallout and changes from that fixture have led England to the lofty perch they currently occupy (Sir Alex Ferguson’s quote about Liverpool and perch’s springs to mind). Watching the game in an Irish pub full of Welsh fans in Munich (due to my extremely important commitments at Oktoberfest) is something that won’t be forgotten soon. And so to last year’s instant classic, this time viewed on a ridiculously high-quality YouTube stream in an Airbnb in Prague, Wales looking certain to win as they dominated England in most facets of the game. On came Eddie Jones’ ‘closers’, out went the ball to Elliott Daly and he turned on the afterburners to seal victory for England and break Welsh hearts. Equal with the Third Lions Test and the Dunedin Bledisloe for the best match of 2017. I am once again expecting a pulsating, gripping encounter this Saturday, and the hyperbole and expectation has been ratcheted up a notch since Wales’ pasting of Scotland last weekend. It’s the El Clasico of Northern Hemisphere rugby, Dylan Thomas vs William Blake, Tom Jones vs Rod Stewart, Catherine Zeta-Jones vs Emily Blunt, Gareth Bale vs Harry Kane and Joe Calzaghe vs Lennox Lewis. Get in.